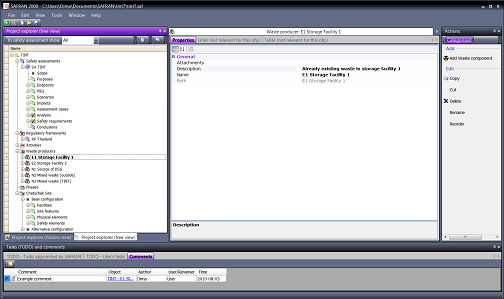 Minor English and Spanish language modifications for normal operations “exposure time …” wizard. Spanish interface for installation program. 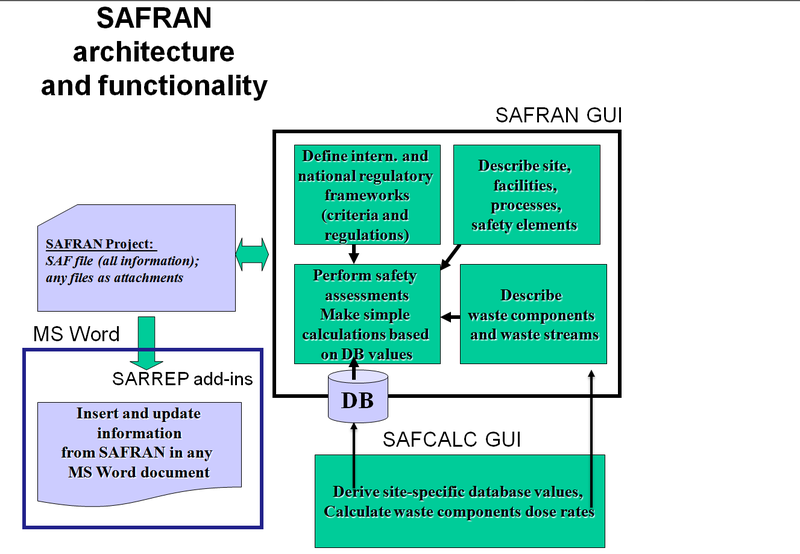 The SAFRAN (Safety Assessment Framework) is a user-friendly software application that incorporates the methodologies developed within the IAEA SADRWMS and CRAFT projects. Possible use of SAFRAN: Conduct Waste Characterisation; Visualise waste management schemes Guidance in conducting safety assessments; Support in quantitative assessments;Perform integrated studies. Potential users of SAFRAN: Managers of radioactive waste facilities; National regulators in the nuclear and environmental fields; Government departments responsible for emergency response; International organizations; SA professionals and consultancies; Enterprises developing radioactive waste management solutions.